There are lots of accommodations along the trail especially in main villages. I think during this winter season, the room rates are discounted. 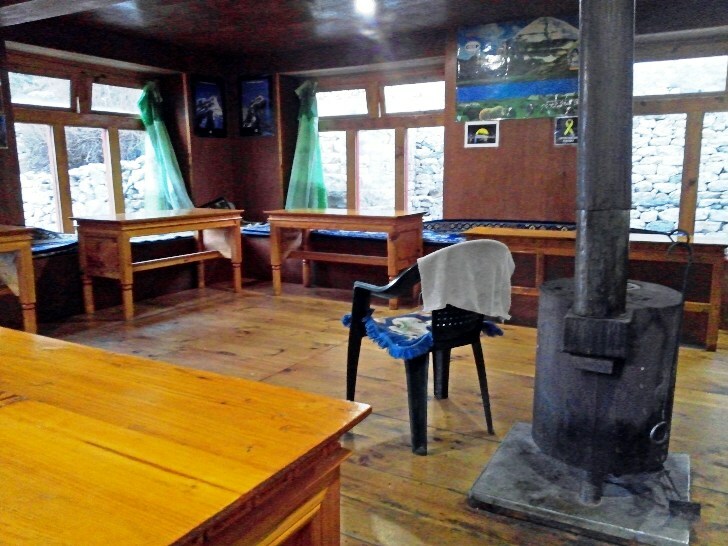 From Jiri to Lukla, the price range was from 100 to 200 NPR for 1 room with 2 beds but from Lukla to EBC, it was 200 to 300 NPR. Trail Lodges have one general rule, if you checked-in on their lodge, you should purchase/order your meals (breakfast/lunch/dinner) with them or else your room rate is increase up to 3 times. Hot shower, electric charging and sometimes wi-fi are service to be paid separately. During my trek, 2015 Nepal Earthquake badly affected Jiri Town up to Junbesi (Gaurishankar Conservation Area). When I was in Jiri, Hotel Everest only was the open because others have been destroyed. Even KInja, Bandhar and Junbesi are evidently damaged. From Nunthala to EBC (Sagarmatha National Park), all town are perfectly fine.